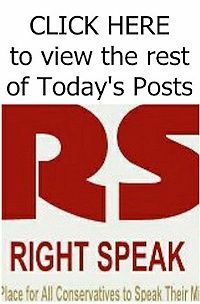 RIGHT SPEAK: OnamaNOMICS: Where Did All The Young Workers Go? Economists are scratching their heads trying to figure out a puzzle in this recovery: Why are young people not working? People retiring at age 60 or even 55 in a weak economy is easy to understand. But at 25? The percentage of adult Americans who are working or looking for work now stands at 62.8%, a 36-year low and down more than 3 percentage points since late 2007, according to the Labor Department's May employment report. This is fairly well-known. What isn't so well-known is that a major reason for the decline is that fewer and fewer young people are holding jobs. This exit from the workforce by the young is counter to the conventional wisdom or the Obama administration's official line. The White House claims the workforce is contracting because more baby boomers are retiring. There's some truth to that. About 10,000 boomers retire every day of the workweek, so that's clearly depressing the labor market. Since 2009, 7 million Americans have reached official retirement age. The problem will get worse in the years to come as nearly 80 million boomers hit age 65. But that trend tells only part of the story. The chart above shows the real problem: The largest decline in workforce participation has been those under 25. The percentage of young Americans earning a paycheck or looking for work has fallen by 4 percentage points over the course of the recovery, and those between 16 and 25 have experienced the largest decline. Those over 65, by the way, are more likely to be working today than five years ago. This shift has cushioned the blow of young people not working. Why is this trend so troubling? Studies show that teens who start working at a job at a young age have higher earnings later in life. One study found that those who work as teenagers have earnings that are about 10% higher at age 27 than those who did not work.